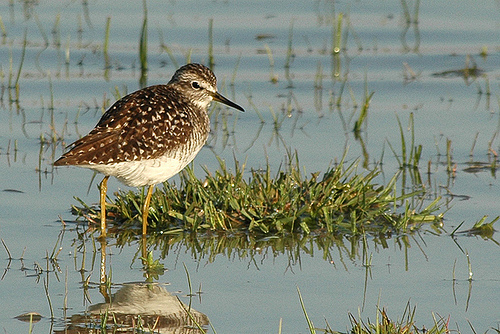 The Wood Sandpiper breeds in northern Russia and spends the winters in Africa. That's a long journey and nature reserve areas in western Europe, like the Wadden Sea, are necessary to recuperate. 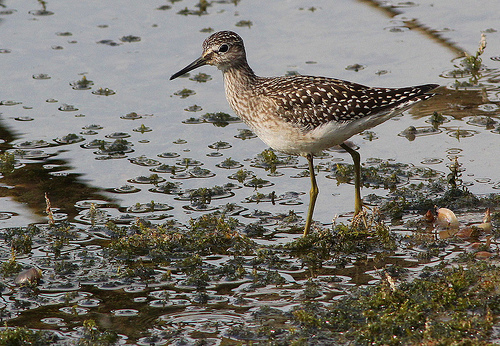 The Wood Sandpiper has green legs and a dark beak. The legs and beak of the Redshank are red. The Wood Sandpiper has a relatively short beak and is much smaller than the Greenshank.